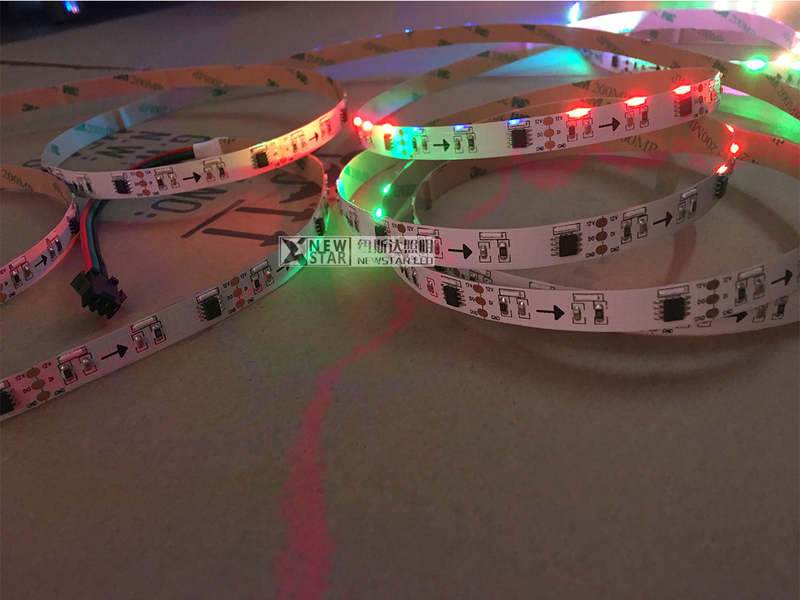 Below is normal RGB+W LED strip, you can see the RGB and White color chip is different LED, the brightness is lower than RGB LED strip or single white color LED strip, I means same LEDs quantity. For example, 60leds RGB led strip or 60leds White led strip, it is more brightness than this kind 60leds RGBW led strip, so it only has 30leds RGB and 30leds White LED SMD, and we can only get RGB+3000K warm white, RGB+4000K natural white or RGB+6000K pure white. 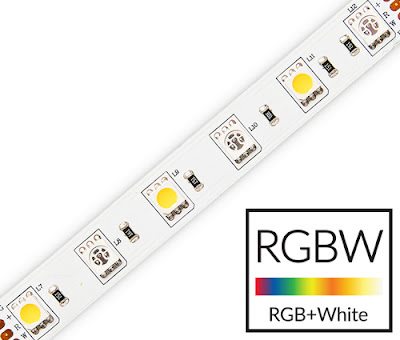 but it is the cheapest RGBW led strip option. It is four in one LED RGBW led strip, RGB and white color in one LED, but it is same with above kind that we can only get RGB+3000K warm white, RGB+4000K natural white or RGB+6000K pure white. However it is better than normal RGB+W led strip, higher watt, more brightness, with more uniform lighting. 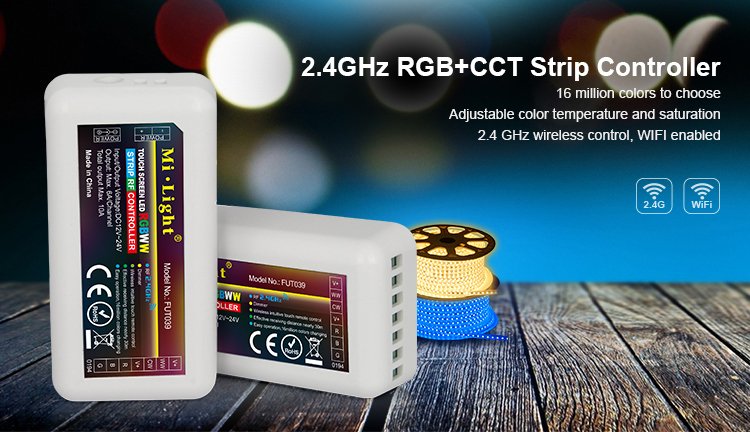 I think everyone like one type led strip light can have RGB color, also can change the color temperature from 3000K to 6000K. 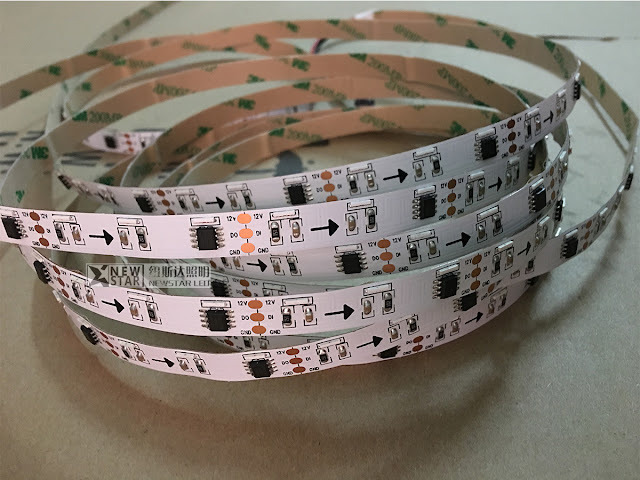 If you want to know more details about our 5 in 1 RGBCCT led strip light, we think you can buy one roll sample to test, so that you can know it clearly. 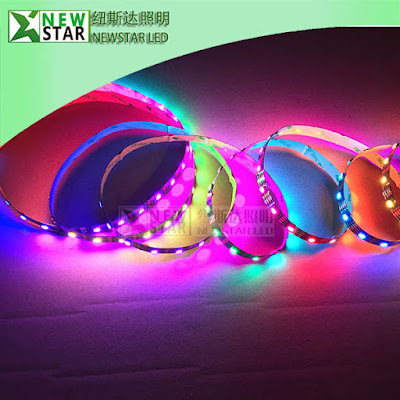 welcome to contact us, email info@newstarleds.com. 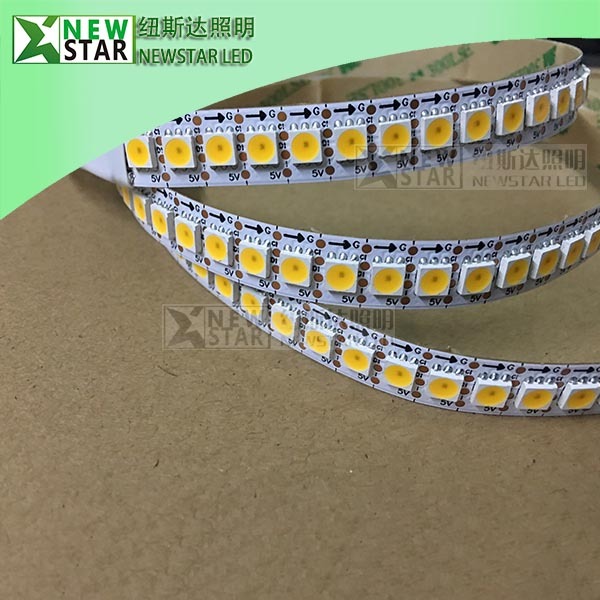 What is the difference between 3528 and 5050 type LED strip? 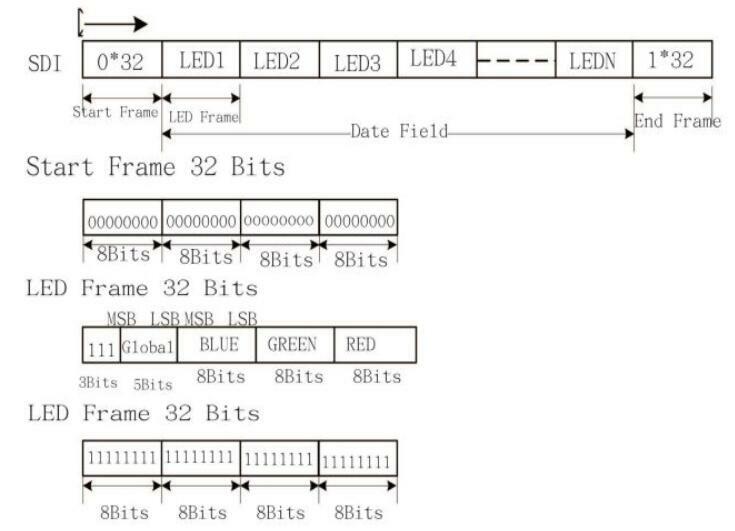 The 2 most common types of LED strip are currently 3528 and 5050 type LED strips. 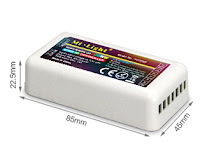 You will see this mentioned in many of the descriptions of the LED strip we supply on this site. 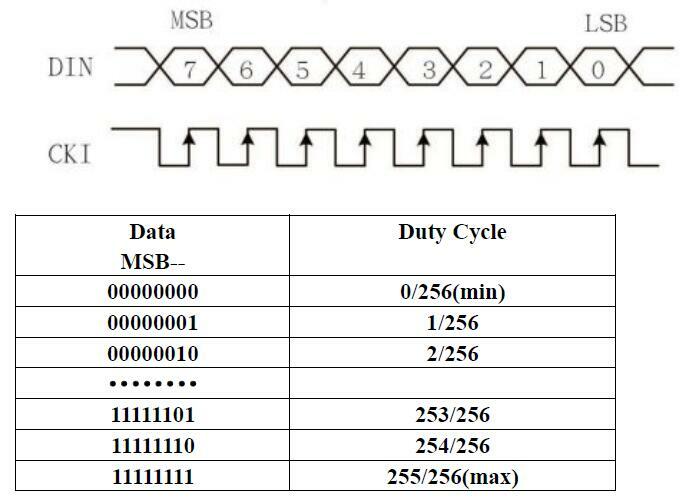 This number simply refers to the dimensions of the LED chip used which is then mounted onto the flexible PCB. 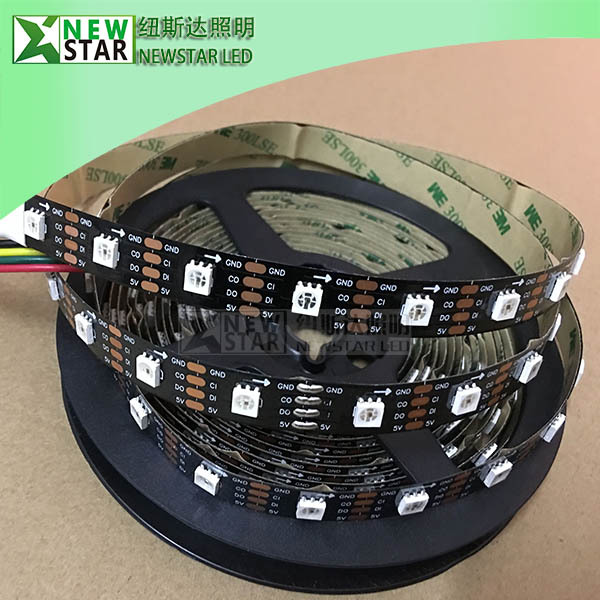 3528 LED strip then, measures 3.5mm x 2.8mm and 5050 strip measures 5mm x 5mm. Generally the smaller 3528 LED strip is lower power. These LED chips are typically used for LED strip rated at either 4.8 watts per metre which has 60 LEDs per metre or 9.6 watts per metre when 120 LEDs per metre are used. 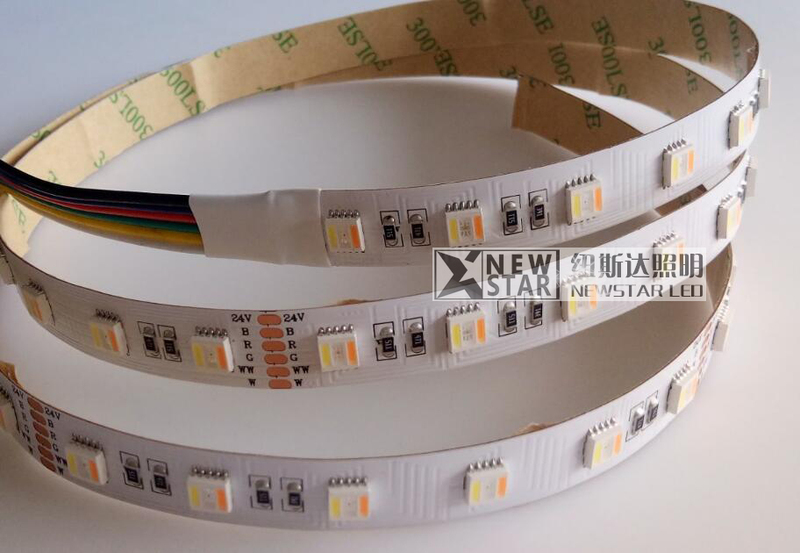 3528 LED strip is usually 8mm wide. 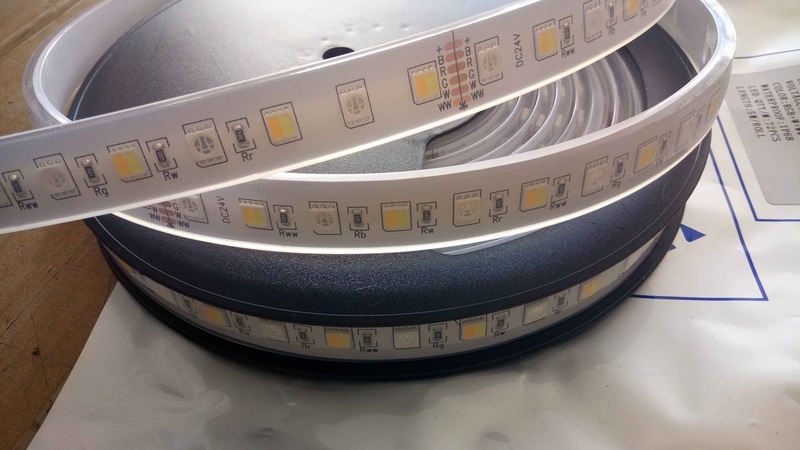 The larger 5050 LED strip tends to be brighter, is 10mm wide usually and is rated at 7.2 watts per metre when 30 LEDs per metre are used, or 14.4 watts per metre when 60 LEDs per metre are used. Both the 3528 LED strip and the 5050 LED strip provide very good light levels, and although 5050 LED strip is the brighter of the 2, it’s not always the best; your decision should always depend on your application. For example, the 3528 LED strip which is rated at 9.6 watts per metre has 120 LEDs per metre so the LEDs are mounted very close together. 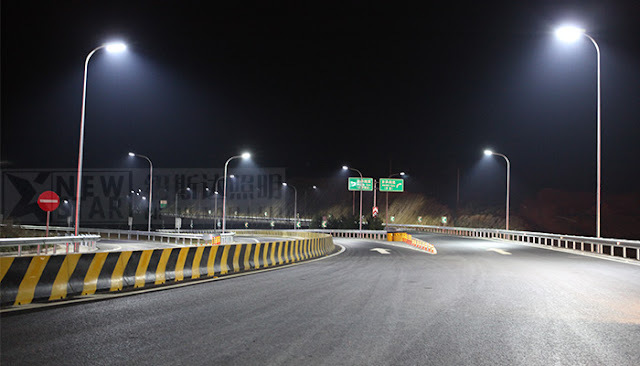 This has the effect of providing a much denser light, whereas the 14.4 watts per metre 5050 LED strip, even though it’s more powerful and brighter has 60 LEDs per metre, so they are spaced much further apart which can lead to the LEDs appearing as individual spots. If you are not sure what type of LED strip lighting is best for your requirement then we are always here to help. What colours of tape are available? We offer a wide-range of colours. 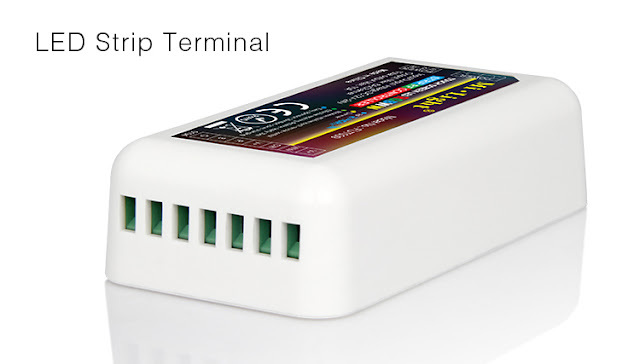 You can choose from LED strips that are cool white, warm white, colour temperature adjustable white. 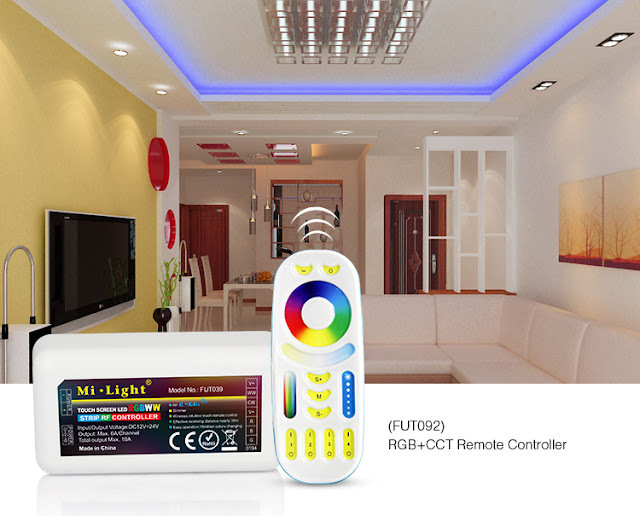 We also offer colour changing 'RGB LED strip' and colour adjustable RGBW LED tape which offer the widest colour pallet of all, to create your own colour mix using one of our range of LED controllers including our Wifi LED strip controller and Wall mount LED strip dimmer. 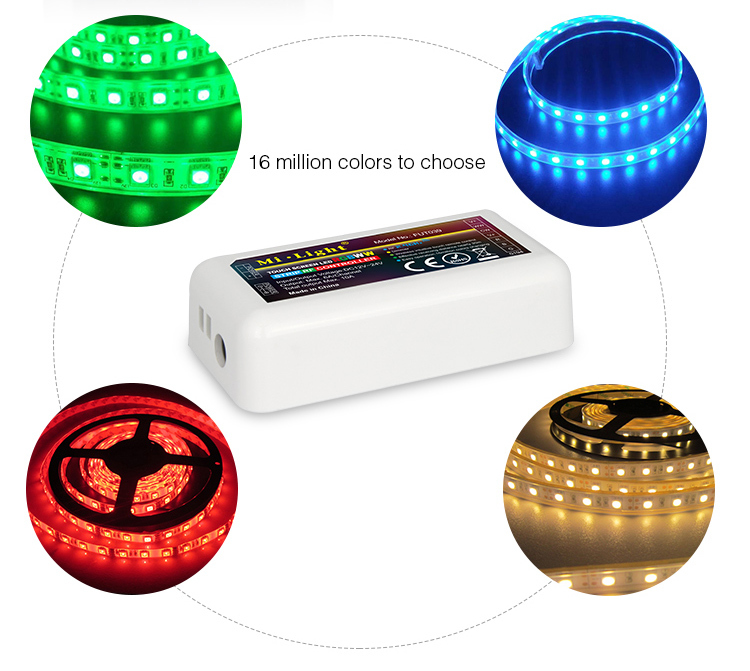 What colour LED strip can you get? We have a massive selection of LED strip lighting. 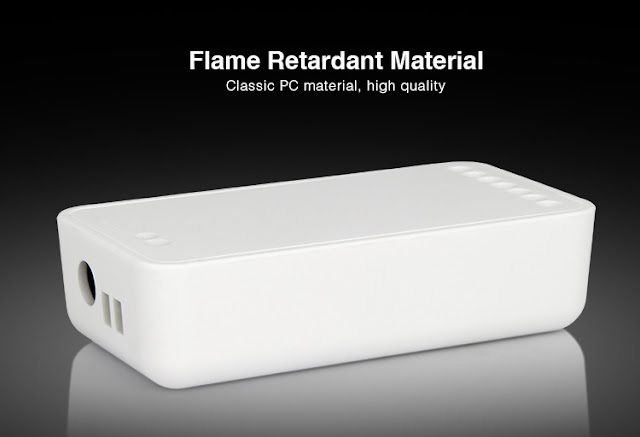 The most popular colours are Cool White (6000K) and Warm White (3000K) but in addition to this we provide Daylight White (4000K) and Super Warm White (2200K). 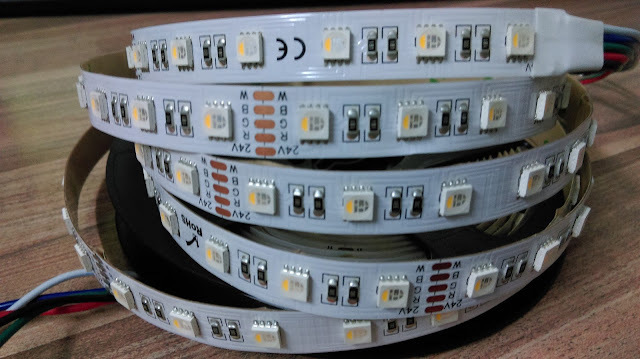 Its important when ordering the LED strip for your installation that you try to order as much as you need for the whole job at the same time. 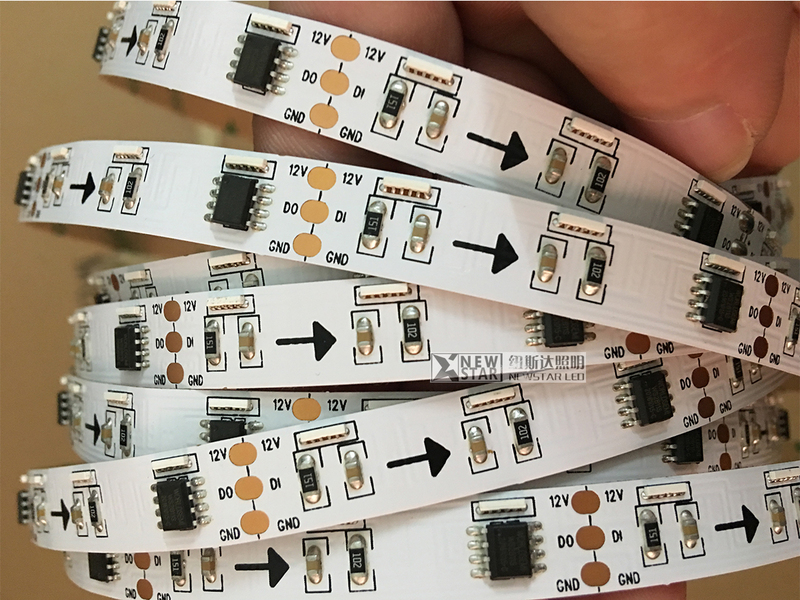 This way, where possible we will ensure the LED strip is supplied from the same production batch to acheive maximum colour consistancy across the whole order. 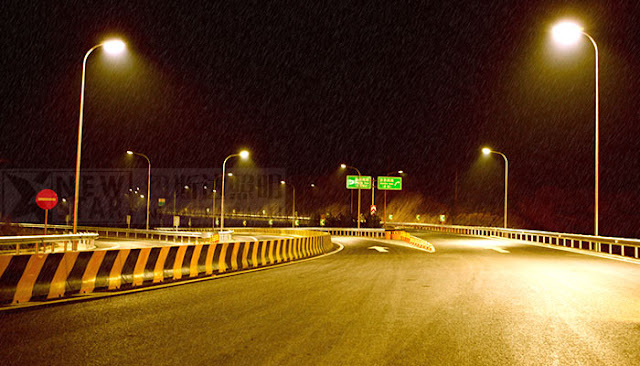 Where LED strip is supplied across multiple orders there may be variation in the light colour. For example where the colour of LED strip is stated as 2700K warm white, there will be a tolerance of approx. 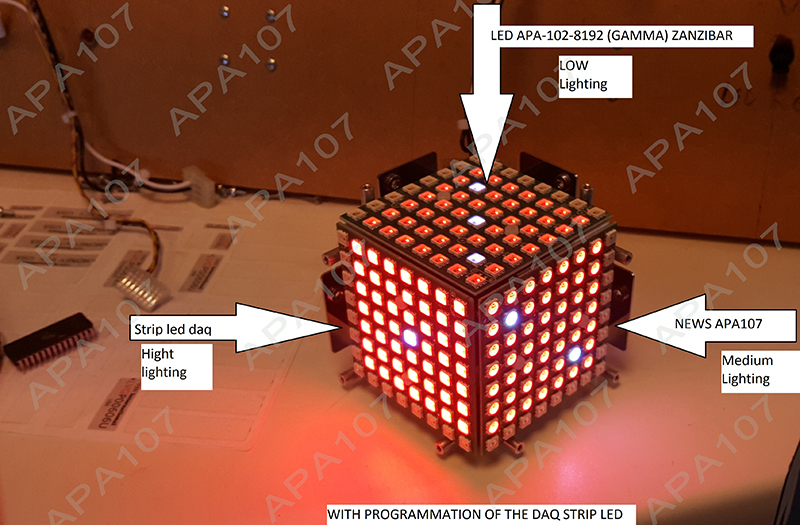 + and - 10% on this from one production batch to the next, according to what bin of LED is used (subject to availability). LED supplies always looks to offer the greatest level of uniformity possible between production batches and match the stated colour temperature as closely as possible, but this colour tolerance should be considered when placing your order. 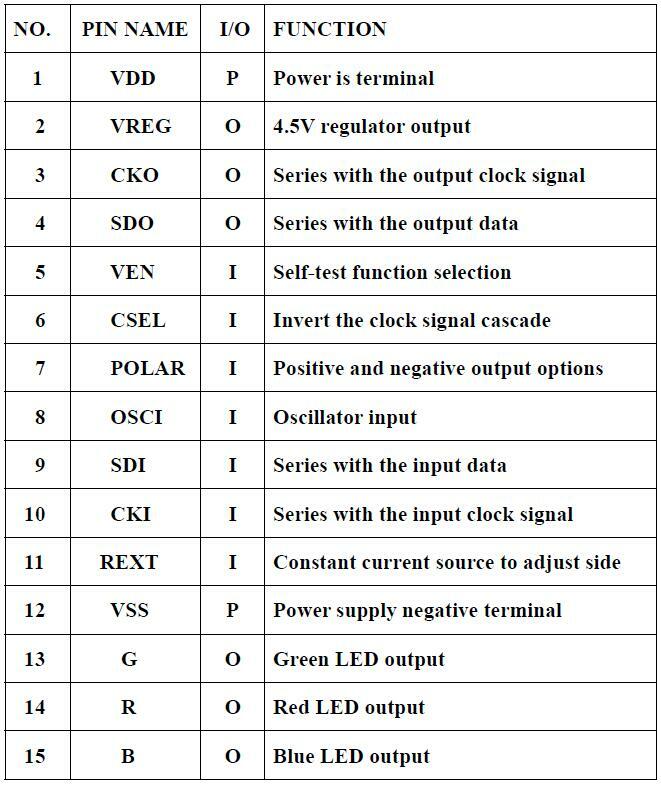 The chart below gives you a good idea of how different types of white light LED strip compare. In addition to the white LED strip types, we also offer Red, Blue, Green, Yellow and colour changing LED strips. The colour changing strip is usually called RGB which stands for Red Green Blue, or we offer RGBW which is Red Green Blue White, which, with the additional White LED chip has the broadest colour pallet of all. The APA102 gave nearly NO intensity in the very beginning. (This gave no nice display)Now there is some small brightness in the beginning of the APA107 curve. What is very good!!!! " 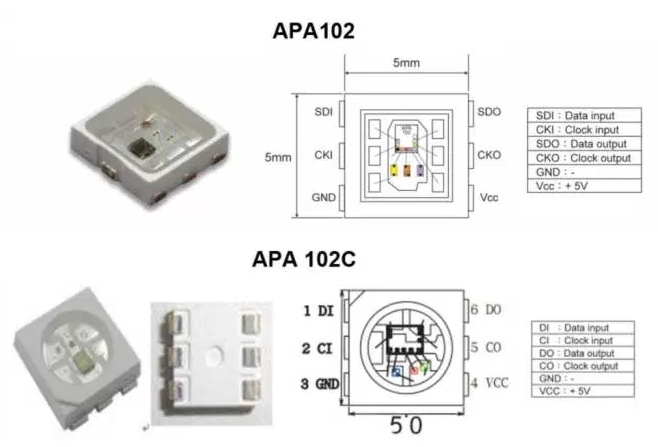 APA107 is a type ic for the three-color RGB Dimming control strip and string, This IC using the CMOS process to provide three-color RGB LED output driver to adjust the output with 256 grayscale and 32 brightness adjustment, APA107 with 2 signal output way , one is clock ,another is data, the clock and data is synchronizated ,so that the crystal cascade piece of output movement is sychronizated . 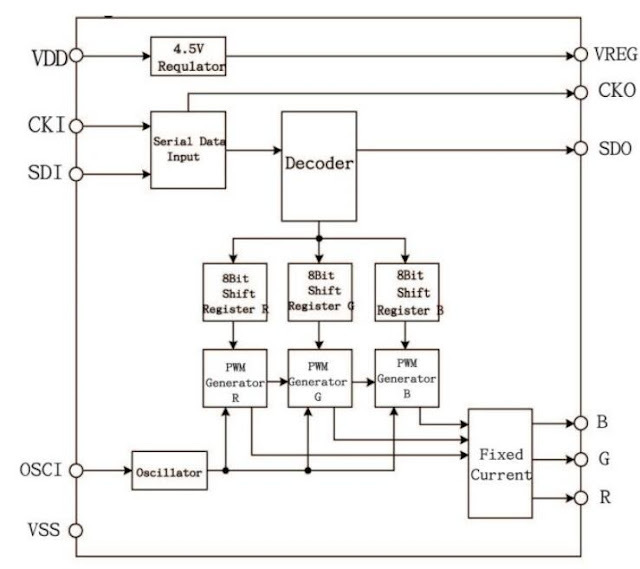 1, Intelligent reverse connect protection, the power supply reverse connection does not damage the IC. 2, The control circuit and the LED share the only power source. 3, Control circuit and RGB chip are integrated in a package of 5050 components, form a complete control of pixel point. 4, Built-in signal reshaping circuit, after wave reshaping to the next driver, ensure wave-form distortion not accumulate. 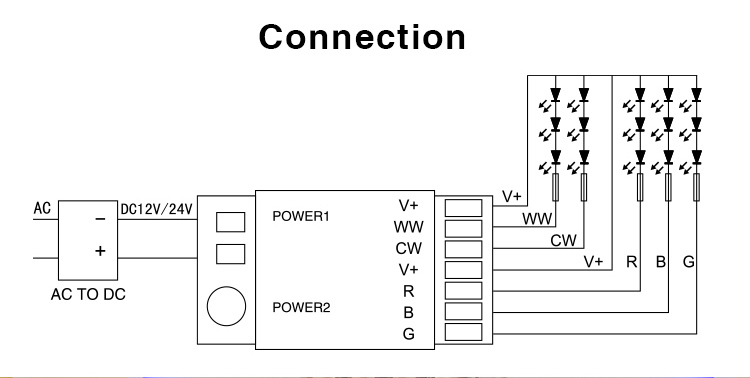 5, Built-in electric reset circuit and power lost reset circuit. 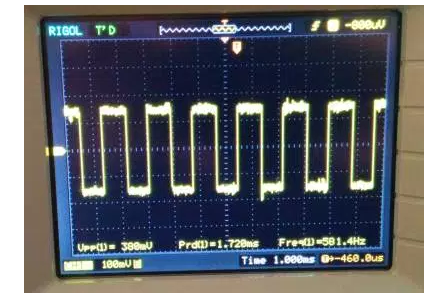 6, Each pixel of the three primary color can achieve 256 brightness display, completed 16777216 color full color display, and scan frequency not less than 400Hz/s. 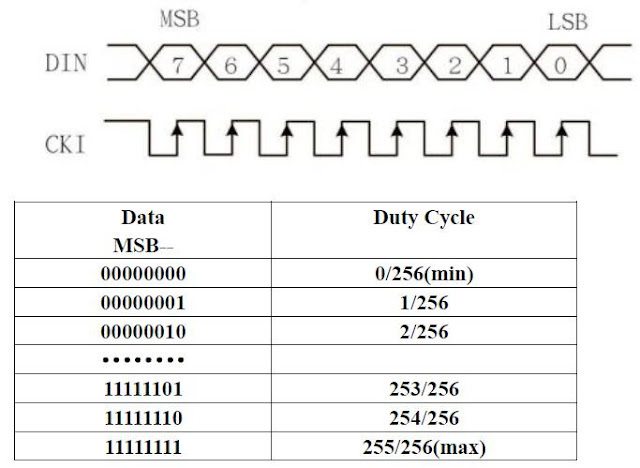 7, Cascading port transmission signal by single line. 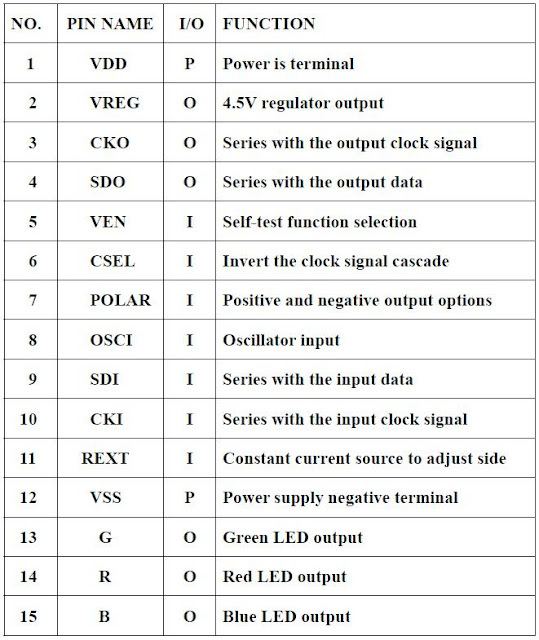 8, Any two point the distance more than 5m transmission signal without any increase circuit. 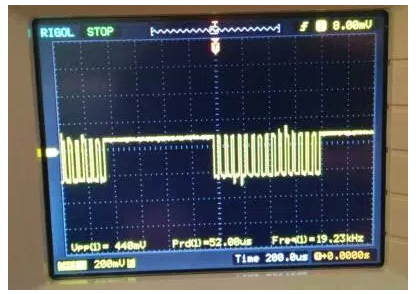 9, When the refresh rate is 30fps, cascade number are not less than1024 points. 10, Send data at speeds of 800Kbps. 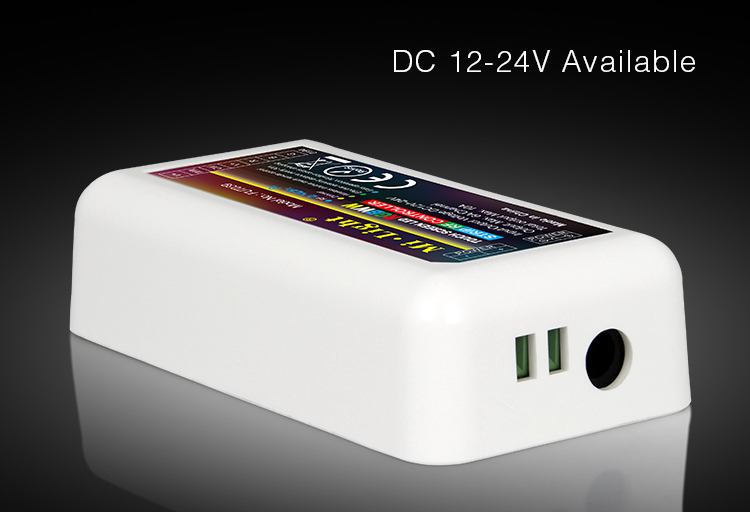 11,The color of the light were highly consistent, cost-effective..
12, Full-color module, Full color soft lights a lamp strip. 13, LED decorative lighting, Indoor/outdoor LED video irregular screen. More details, pls contact us.